We talk about reaching the heart of our children and about having their heart – what do these phrases mean? And more importantly how do we do it? The heart is the inner man, the conscience, the soul. The heart is the where we have inclinations and make resolutions to determine our will. The heart is where our character springs from. The heart is the seat of our passions and our emotions. These descriptions come from the Hebrew word for heart; this word is used so much in the Bible in relation to us growing in maturity. In summarizing all these descriptions, the heart is the place, deep inside each one of us that makes us tick. Do you know what makes your children tick? We all have internal beliefs about every aspect of life. I am not necessarily talking about our faith beliefs, but rather what I believe about myself, other people, the world around me and God will affect the choices I make. My beliefs direct my actions. In other words for us to change our child’s heart means we need to change their belief system. This is what heart focus parenting is all about. There are many methods that focus on modifying behaviour and though that works short term it won’t enable our children to grow into morally mature people. In order for our children to take ownership of moral truth, or character based living in their own life, we need to change our children’s thinking from a self-focus to one-another-focus which is a biblical focus. There needs to be a complete turn around. 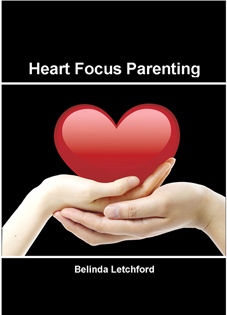 Purchase your own copy of Heart Focus Parenting, a collection of articles and thoughts to encourage parents to keep their focus on their children's hearts day in and day out.